Malaysian Hair is a highly sought after texture and a very popular option among celebrities. Malaysian hair has an extremely luxurious feel and is sleek with medium luster. This hair hold curls extremely well without the use of products. This hair blends very well with most hair types including African American. It does not swell or frizz in humid conditions making it low maintenance. This hair is amazing-you will love it! 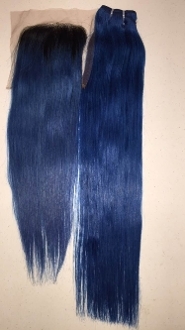 Malaysian hairs luster is low to medium; similar to Brazilian hair. This hair is reported to have minimal shedding, but a normal amount of shedding for any natural hair. In comparison to Brazilian and Peruvian hair, this texture is the finest; but still textured enough to blend well with natural and relaxed textures.